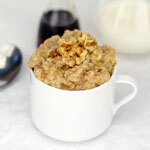 In a microwave-safe cereal bowl, stir together the oats, cereal, raisins, brown sugar, cinnamon and milk. Microwave on high for 3 minutes - stirring after every minute. 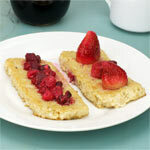 Serve with cream or additional milk if desired. After 2 minutes and 15 seconds in the microwave, this oatmeal starts to thicken and goes from a soupy texture to a more welcome oatmeal texture. 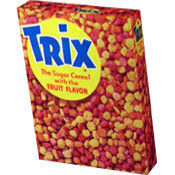 At this point, you can get bubbling that will splatter in your microwave. Left unattended, the whole thing can boil over. 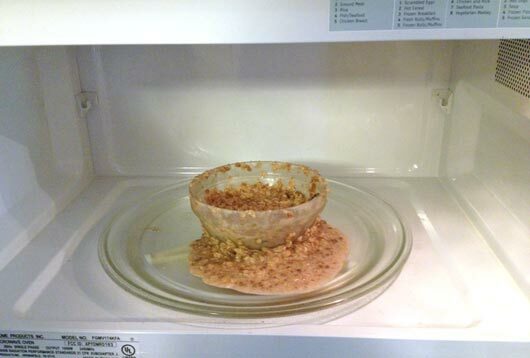 Take my advice... as you can see, I made the mistake so you won't have to... after 2 minutes of cooking, keep a close eye on the oatmeal. If it's starting to bubble, stir and continue cooking in 10 second intervals until thickened to your liking. 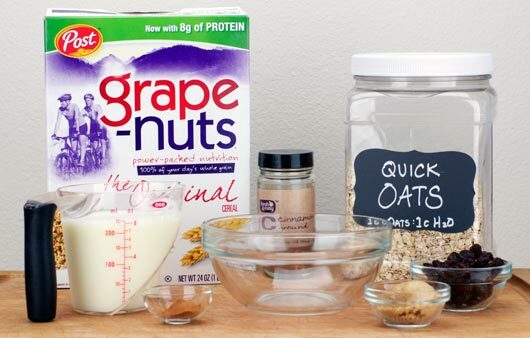 A great alternative use for Grape-Nuts cereal. 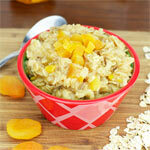 It gives oatmeal a whole new texture and taste. Try it. 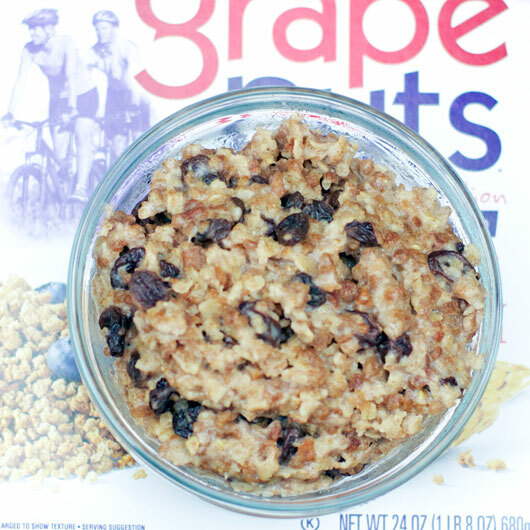 What do you think of Cinnamon Raisin Grape-Nuts Oatmeal? Agreed! 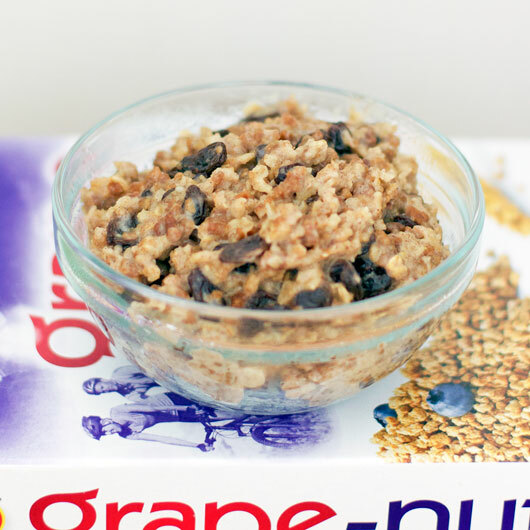 Oatmeal eaters should always have a box of Grape-Nuts around. It takes it to a new and better level that's hard to describe. Grape-Nuts has always been just an okay cereal to me. But when you add them with oatmeal... that's why God invented Grape-Nuts. 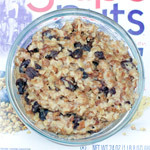 I find that half Grape-Nuts and half quick oats (never Old Fashioned) always works for me. Love it. Yum. Yum. Yum. 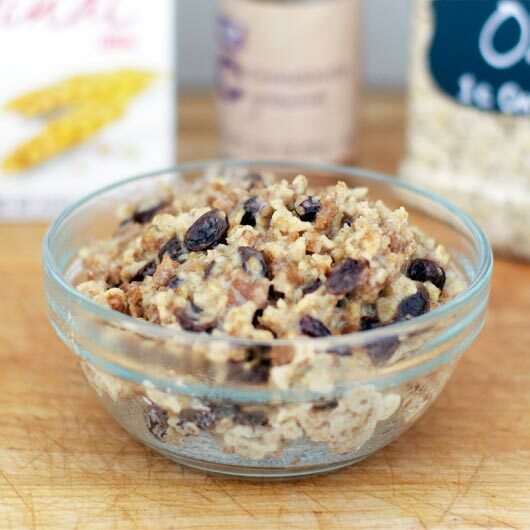 This is a great oatmeal recipe. Thanks!